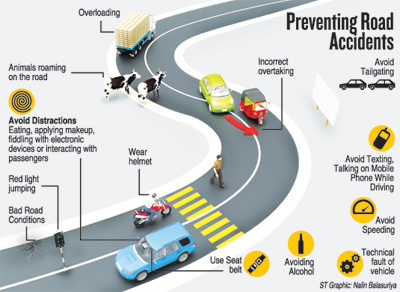 Weaving impatiently through heavy traffic while overtaking heavy vehicles while taking little care to be seen clearly in the vehicle stream, in many cases jumping red lights, motorcyclists contribute to a large portion of the number of fatal accidents in the country. More than 600 motorcycle riders have been killed so far this year, most of them were youth, statistics by the Motor Traffic Department of Sri Lanka revealed. The number shows a clear increase from last year’s total of 741 motorcyclist deaths. From January 1 to Wednesday (August 12) 1,762 deaths were reported, which included 606 motorcycle riders, 466 pedestrians, 130 drivers, 313 passengers, 161 bicyclists and seven bystanders. Last year, 728 pedestrians, 158 drivers, 172 passengers and 228 bicyclists were included in the total of 2,432 deaths. In 2013, number of deaths stood at 2,362 and 2,444 the year before that. A 33-year-old resident of Sorabora died at the Mahiyanganaya General Hospital where he was rushed after his motorcycle collided with a tipper truck along the Mahiyanganaya-Badulla road on Monday. In a separate incident that day, a woman rider, 50-year-old Rohini Senehelatha of Kuliyapitiya, died when her motorcycle crashed into a stationary cab in Bihalpola, Narammala. In Kekirawa, motorcycle rider Jayantha Jayawardene, died after he crashed into a power pole. On Wednesdaya motorcyclist from Bingiriya died when he collided with a vehicle on the Kurunegala road. He succumbed to his wounds upon admission to hospital. Deputy Inspector General (DIG) of Traffic Amarasiri Senaratne said the number of vehicles in the country has steadily increased with more than half the registered vehicles being motorcycles, that number climbing consequent to the reduction in motorcycle taxes. As a result, the number of fatalities involving motorcyclists had increased, he said. “More than 60 per cent of these accidents are caused by riders who have less than six years of experience,” said Institute of Road Traffic Education Director and former Traffic DIG, Thambiayah Perinpanayagam. Reckless and dangerous driving, not wearing helmets, failure to wear high visibility clothing and not following road rules were major contributors for fatal accidents, he said. In most cases, motorcyclists caught by traffic police had been overtaking on the wrong side, transporting more than one pavilion rider and lacking a driving or riding licence. 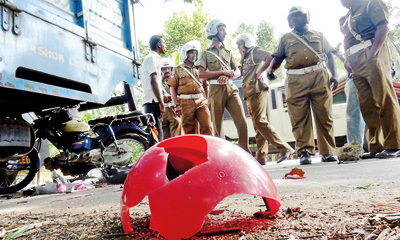 The other killers on the road, Mr. Perinpanayagam said, were lorry and three-wheeler drivers. Last year, 327 fatal accidents were caused by lorries while in 2013 the number was 400 and in 2012 there were 320 cases reported. Fatal accidents involving three-wheelers last year totalled 275 compared to 228 in 2013 and 252 the year before that. K. Arasaratnam, also a former DIG (Traffic), said that every day more than 10 motor traffic accidents were reported, 45 per cent of them fatal, with one death being reported every four hours. They were mainly caused by dangerous driving, incorrect overtaking, excessive speeding, turning without signals, lack of lane discipline, drunk-driving, use of mobile phones, defective vehicles, lighting offences and bad road conditions. The total number of accidents reported as a result of speeding last year was 5,804 with 656 deaths; in 2013, the total number of cases was 5,325 and 682 deaths, and in 2012 there were 6,072 cases reported with 588 deaths. Risky overtaking killed 408 last year, 397 in 2013 and 469 in 2012. Deaths caused as a result of drink-driving last year were 133 compared with 68 in 2013 and 171 in 2012. “Inexperience is major problem. In most cases where a motor traffic took place we identified that the driver was young,” Mr. Arasaratnam said. He added that most of the young people obtain licences early but do not drive for some time. After several years they begin to drive or ride but sadly lack experience, causing tragic accidents, he said. Lawyer Sunil Watagala criticised what he said was a lack of infrastructure facilities for safe traffic flow. In most places there was no pavement for pedestrians and they are forced to walk on roads and risk being run down by a vehicle. “Another defect we see these days is the inequality of implementation of law. There are many people with influence who slip away when they are caught breaking a traffic law while people without such authority are continuously fined or taken to courts,” Mr. Watagala said, adding that the country’s leaders should set an example for people to follow.